﻿ How Vietnamese women survived the war in Vietnam. 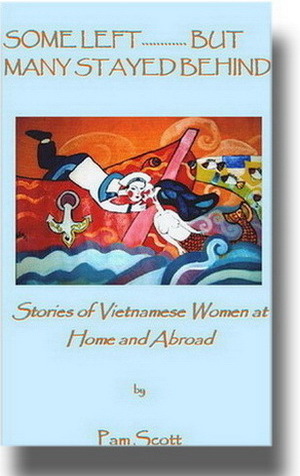 Pam Scott tells the stories of Vietnamese women at home and abroad. This memorable collection traces the lives of eighteen Vietnamese women who lived through the Vietnam War. Eight, who left Vietnam as refugees after the end of the war, tell about leaving their homeland and coming to Australia. Others recount what is was like to stay behind in a divided and war-torn country. Three women tell how they left as refugees but recently returned to Vietnam to live. All were children or young women during the war and came from various geographic regions within Vietnam, different socio-economic groups, and had varying education levels. All have touching stories. Stories of women's lives often get lost to history, especially during wartime when men's heroic deeds are being recorded. The vital role of so-called 'ordinary' women who hold together the fabric of the society and nurture the next generation is often unrecorded. Vietnamese women were rarely free agents in choosing to stay or leave their country - they followed their fathers or their husbands as dutiful daughters or wives. Whether they braved the open seas and pirates, or stayed and suffered the disruption of war and its aftermath, they worked hard to build a better life for their family's future. All suffered hardship and loss. Yet their stories are uplifting. (157 pp.) PDF only.